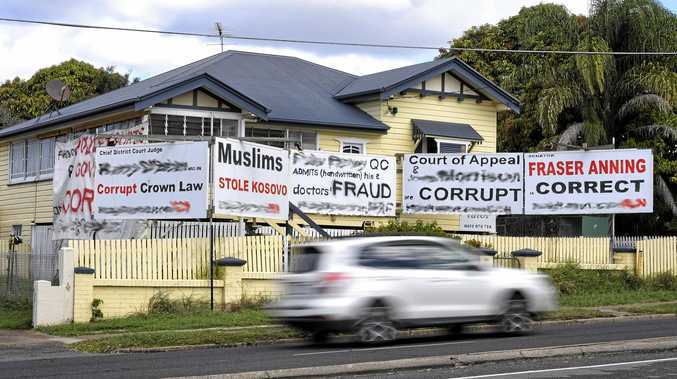 A MAN'S ever-changing home billboards accusing several high-profile politicians, legal minds and police of being corrupt will be removed after months of prominence. Motorists heading through Booval into Ipswich on Brisbane Rd struggle to miss the striking, hand-painted allegations donning a two-storey home. 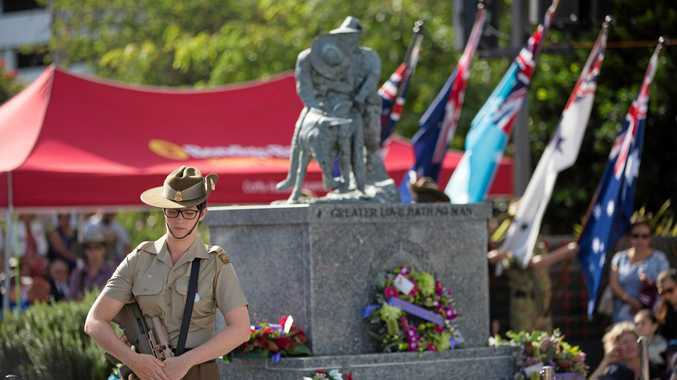 They have been put up by Russell Gordon Haig Mathews, who was described as a vexatious litigant by the Supreme Court of Queensland in 2017. Mr Mathews has long accused the courts, police, lawyers and high-profile politicians of being corrupt. Six prominent signs on the outside of his home is just a taste of the countless allegations Mr Mathews makes about society on his personal website. That website might soon be his only avenue, with Ipswich City Council confirming it had started action against the homeowner for the unapproved permanent signage in the front yard. "Council is aware of this matter and has commenced compliance and enforcement action to require the owner of the property to remove the unlawful signage," a council spokesman said. "In the event that the owner of the property does not remove the signage as required by council's compliance and enforcement action, a court order may ultimately be sought to force the owner to comply." About 30,000 motorists commute down Brisbane Rd each day. The white and black painted signs come with an elaborate lighting rig which ensures they are visible day and night.